Extra-large print guarantees that you won't miss a number. Excellent for the sight impaired. Printed on 110-lb index paper for strength. Extra-large print guarantees that you won't miss a number! Excellent for the sight impaired. Printed on 110-lb. index paper for strength. 8-1/2" x 11". Set of 25. 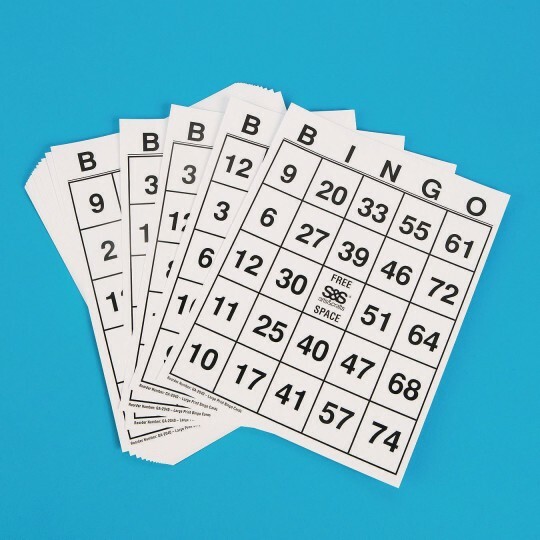 Use with our large Bingo/Poker Chips (GA2048). I use these for my dementia group that have a hard time seeing small letters and numbers. 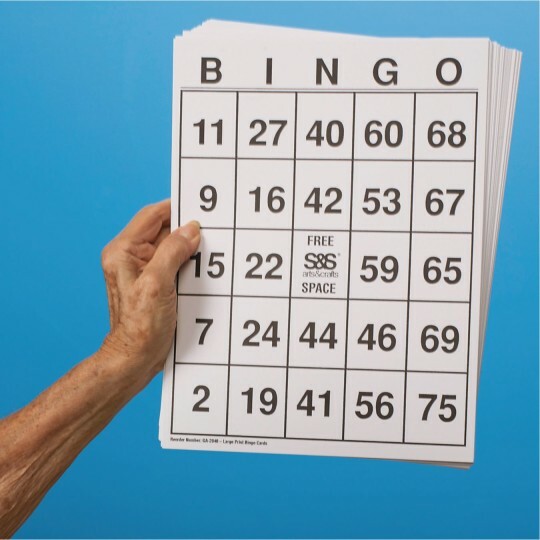 Large numbers for older adults to read. I only order things that my seniors would enjoy participating in. 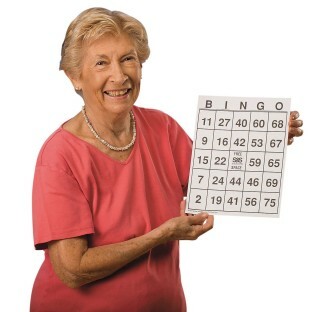 we use these BINGO cards at our Adult Day Programs.